ITER's magnet team visiting the ASIPP workshop. The second ITER Organization/ASIPP Design Steering Committee meeting was held in the Institute of Plasma Phyiscs of the Chinese Academy of Science (ASIPP), Hefei, on 8 October. During the meetings, the committee reviewed the activities on the toroidal field feeder design contract and the work accomplished by the Chinese team was widely appreciated by both sides. Agreement on the next stage planning of contract tasks was also reached. Afterwards the ITER team visited the ASIPP workshop and the EAST tokamak. 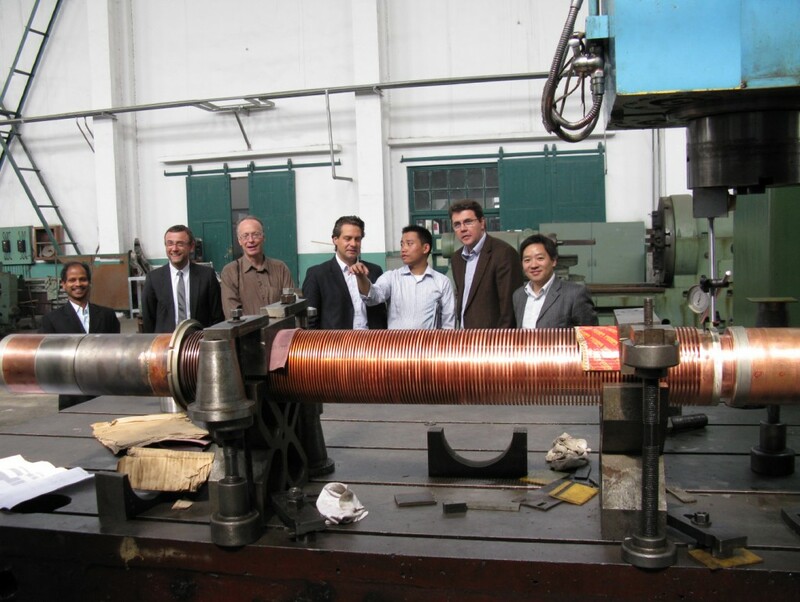 The team was impressed by the R&D progress on the 68 kA high temperature superconducting (HTS) trial current lead for the future design of the ITER feeder systems.